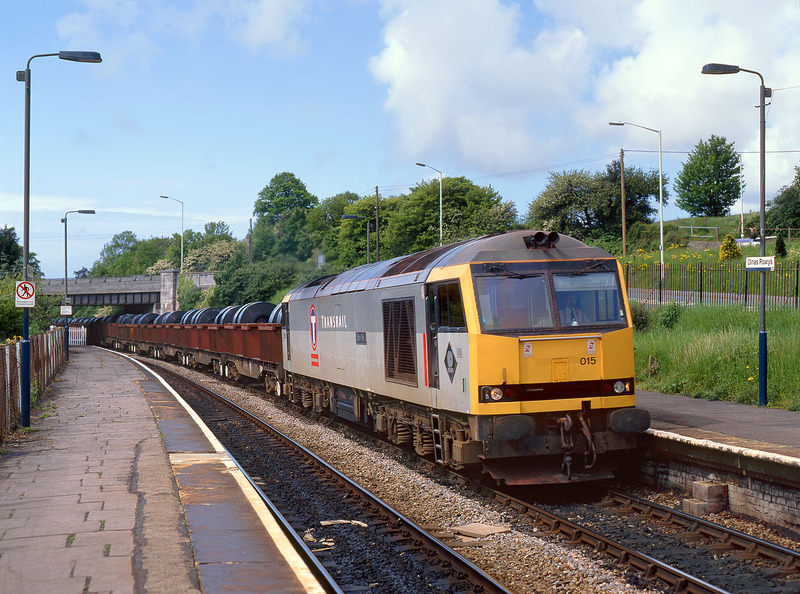 Engineering work resulted in trains being diverted over the Vale of Glamorgan line on Sunday 2 June 1996. One such was the 6B71 10:28 Margam to Ebbw Vale steel coils, seen here passing through Dinas Powys station hauled by 60015 Bow Fell. Note the Buxton depot plaque below the secondman's window.